Ok so indulge me for a moment while I talk about my CamelBak. I LOVE IT!!!!! I guess I could stop right there but I think it's only fair to tell you why I love it. First of all, it's pretty light. It doesn't feel heavy on my back and I don't feel like I'm dragging (my slow pace is because I actually run slowly). There are lots of pockets. I love pockets. And the water stayed pretty cool (but, to be fair, it wasn't a very hot morning). It's not purple, but I'm slowly coming to terms with that. Plus, blue is like purple's cousin right? Or would it be a parent? [mental note: review primary colors after this post]. Anyway, despite the color deficiency the CamelBak worked great! I only did 6 miles so I will have to see how it holds up on much longer runs. After all, it might feel light for 6 miles but become excruciatingly annoying at mile 16. I'll keep you posted. What do you use for hydration storage? 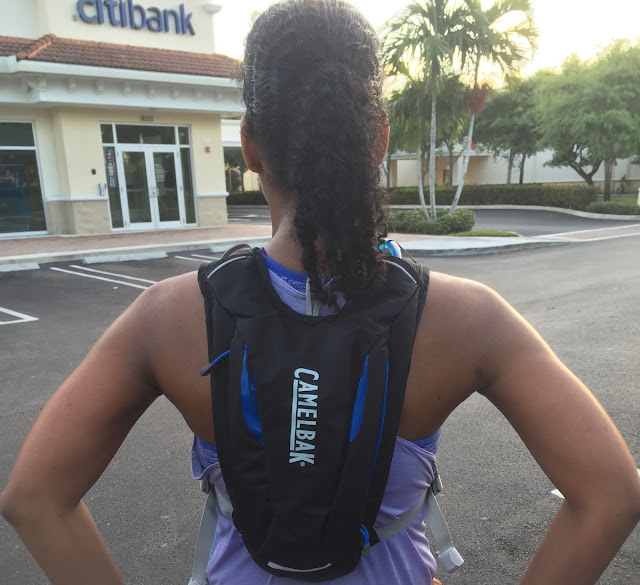 Have you ever tried the CamelBak? 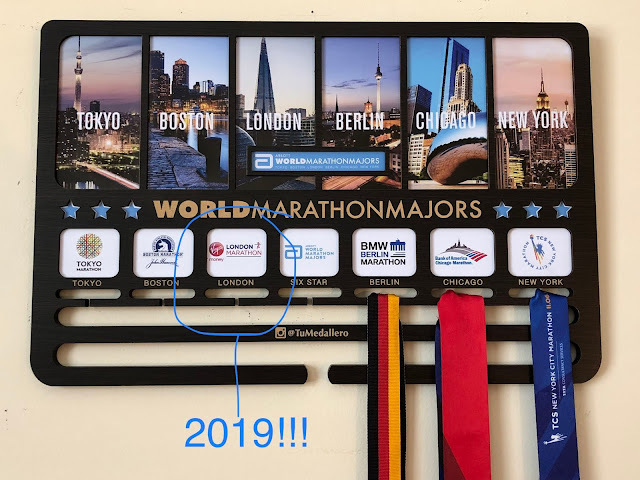 How far in advance do you plan your training/race schedule? I love purple too!! Are you doing the NYC marathon this year? That is my dream one to do. I need to get in some practice halfs (halves?) first though. I am trying to work out doing the Brooklyn half this year though if possible! lol that's ok. What about doing a different half? I do sometimes do a "dress rehearsal" run if the race is something new and different...I guess I haven't done that lately because I haven't been undertaking anything "new" as far as races go.